Water running downhill is a challenge for elevation models derived from drone imagery. This is for a variety of reasons, some fixable, some unavoidable. The unavoidable ones include the challenges of digital terrain models derived from photogrammetric point clouds, which don’t penetrate the way LiDAR does. The avoidable ones we seek to fix in OpenDroneMap. The fixable problems include poorly merged and misaligned elevation models. Dr. Anna Petrasova’s GRASS utility r.patch.smooth is one solution to this problem when merging synoptic aerial lidar derived elevation models with patchy updates from UAVs. 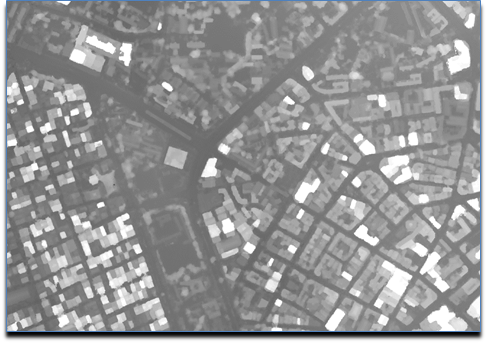 Another fix for problematic datasets is built into the nascent split-merge approach for OpenDroneMap. In short, that approach takes advantage of OpenSfM’s extremely accurate and efficient hybrid structure from motion (SfM) approach (a hybrid of incremental and global SfM) to find all the camera positions for the data, and then split the data into chunks to process in sequence or in parallel (well, ok, the tooling isn’t there for the parallel part yet…). These chunks stay aligned through the process, thus allowing us to put them back together at the end. Digital surface model of Dar es Salaam, merged from 4 separately processed split-merge submodules. Love your blog and the work you do. Great job.